The year 743. Mankind was facing extinction at the hands of the Titans that had suddenly appeared at the center stage of history. Where had they come from, and what was their purpose? Some said that they were natural disasters, while others insisted that they were divine retribution. Either way, mankind had been reduced to a simple, clueless prey whose total population had plummeted to 500,000. I am heavily invested in the Attack on Titan franchise, and I enjoyed this book. If you are as invested as I am, then you will more than likely enjoy this book as much as I did. In fact, you’ve probably already read it. If you have no idea what the Attack on Titan franchise is, this book is not a good introduction. Give the opening episode of the anime a shot! It’s worth your time, I promise. This review is for people who have some experience with Attack on Titan and are wondering if the first volume of the Before the Fall light novel series is any good. I think it is! Despite being a bit shallow, it’s a fun read. The story is set before Isayama Hajime’s original Attack on Titan manga, when the human race has only been living within a massive walled city-state for a few generations. 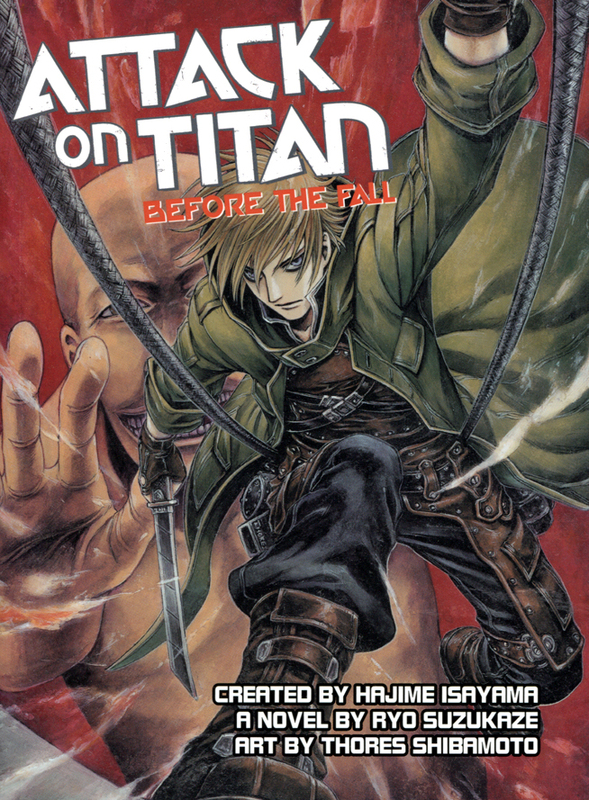 The action of this novel occurs before the events of the Attack on Titan: Before the Fall manga, which adapts the events described in the second and third books in the Before the Fall light novel series. 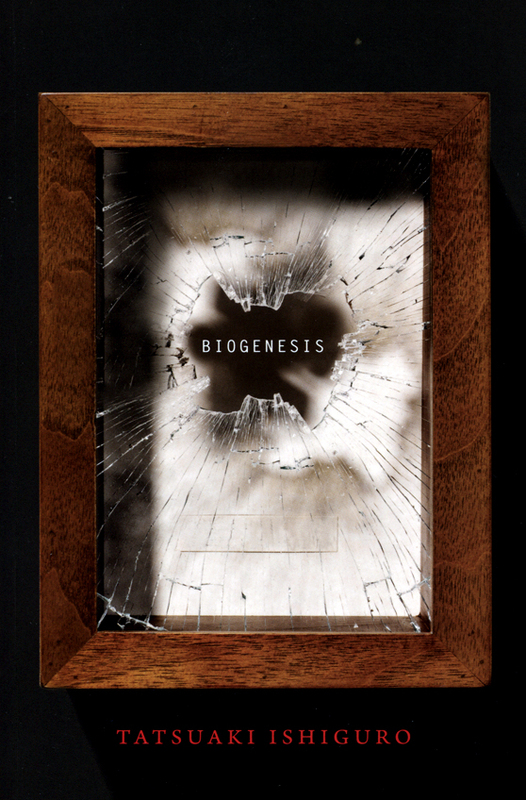 The first novel in the trilogy is an account of the development of the Three Dimensional Maneuver Gear that allows human beings to fight the giant murderous creatures roaming outside the city walls. This equipment, along with the swords that accompany it, are the work of a young engineer named Angel Aaltonen, who is aided in his efforts by his bright assistant Corina Ilmari and his older colleague Xenophon Harkimo, who specializes in gunpowder and chemical flares. Jorge Piquer, the leader of the Survey Corps military unit specializing in missions outside the walls, is interested in this equipment, hoping that it will allow a human to finally bring down one of the Titans, which are considered immortal. Titans are not the only enemies Angel and Jorge will face, however, as there is considerable political pressure to seal the gate leading outside the wall and thus disband the Survey Corps. Attack on Titan: Before the Fall is a light novel, and it reads like one. Paragraphs and sentences are short, and the writing is simple and straightforward. There’s also not a great deal of complexity in terms of characterization or character motivations. The reader is assumed to be familiar with the world in which the story is set, so the book doesn’t offer much world building, and nothing is learned that isn’t already covered in the first season of the anime series. As a result of this “lightness,” most of the plot developments in the novel seem too easy. For example, Angel’s inventions are made possible by the discovery of two materials in the lands enclosed by the walls: Iron Bamboo, which is strong and durable despite being light and flexible, and Iceburst Stone, which provides an endless supply of steam energy under certain conditions. Both of these materials are impossibly convenient, and Angel’s team experiences almost no hardship in learning to manipulate them. What the book can offer the reader are finely crafted action sequences which work well without a visual element, which is no mean feat. Although someone who hasn’t seen the animated adaptation of Isayama’s manga may be confused regarding how large the Titans are relative to humans and what sort of movement the Maneuver Gear allows, a reader already familiar with the visual stylizations of Attack on Titan will be treated to several tense battles. The universe created by Isayama is like Westeros in that important characters can die horribly at any point in the story, so the suspense generated by these fight scenes is gripping. Suzukaze Ryō’s vision of the world of Attack on Titan is interesting and entertaining, even if it discloses no major revelations. The light novel style of writing makes the book a quick read, and the action scenes are fast paced and attention grabbing. If you’re not into the animu and mangos, feel free to give this novelization a pass; but, if you’re intrigued by walled cities, government conspiracies, and postapocalyptic struggles against an incomprehensible enemy, you should totally check out Justin Cronin’s The Passage, which is the perfect blend of Attack on Titan madness and highly accessible Stephen King-style storytelling. Death and the Flower is beautifully printed. Its paper is deliciously creamy, and its gorgeously designed book cover and dust jacket complement each other perfectly. Veritcal’s hardcover edition is one of those books that makes me happy that publishers still put time and effort into putting out physical books that you can hold in your hands and admire on your bookshelf. But the stories themselves? They’re not really all that great. I tried collecting six works with a common theme – a theme represented by the words “diapers and a race replica.” The softness and warmth of diapers, the speed and power of a racer’s motorbike – I wished to express a balance of the maternal and the paternal by placing symbols of femininity and masculinity side by side. What this essentially means is that each story is about a father who undergoes various hardships for the direct or indirect benefit of his wife and/or daughter(s), who are nothing more than empty symbols vaguely characterized by emotional damage and blind need. In other words, men are capable of embodying “a balance of the maternal and the paternal,” and girls and women exist merely for the sake of helping men undergo character development in order to realize their full potential. These female characters don’t need to have names, or thoughts, or feelings, or any sort of identities save for their relation to the male heroes. This in and of itself is not necessarily bad. However, if everything in piece of fiction is going to be diegetically subservient to the ego of the protagonist, then I would prefer for the protagonist to be interesting. Unfortunately, none of Suzuki’s characters really grabbed my attention or sympathy. Instead, just as the female characters of this collection are almost platonic embodiments of Object, each male character isn’t a great deal more than a Subject with a few shallow personality traits pathetically attached like a handful of cheap ornaments haphazardly stuck onto an otherwise bare Christmas tree. The first story in the collection, “Disposable Diapers and a Race Replica,” can serve to illustrate my point. The narrator, an obvious author stand-in character, quits his job to devote himself to his writing and the care of his infant daughter. To help his wife make ends meet, he moonlights as a private tutor. His current client is a delinquent high school student who has begun to skip out on tutoring sessions after the school system fails to reward him for his increased efforts, so the narrator tracks him down on his motorcycle and is driven off the road and nearly killed by the kid’s friends. The next day, the narrator shows up unexpectedly at the kid’s house and beats the crap out of him in order to figure out where the driver who almost killed him lives. He then proceeds to go to the other kid’s house and, finding him not at home, beats the crap out of the kid’s car. After he’s satisfied himself, the narrator encounters the driver and condescends to not beat the crap out of him because he, the narrator, is actually a good guy deep down inside. The only thing that saved him from dying when his bike crashed was the huge bag of diapers he had tethered to the back of the bike, you see, and this is some kind of message about how he needs to stop jumping headfirst into fights, even though he could totally win them if he did get into them, because of course he could – he’s just that kind of guy. Character development through negative contrast does not make for good storytelling, especially when the primary conflicts of a story hinges on an internal crisis of its protagonist. In Death and the Flower, each such crisis is resolved by a realization of something along the lines of “I am a burly hairy dangerous manly alpha male, but I need to embrace my more ‘feminine’ side so that I can better protect the utterly helpless women in my life.” Maybe this is just me, but I don’t find that sort of resolution too terribly compelling. For a such a revelation to be truly interesting, there need to be more 1980s seinen manga style swords and/or psychic power attacks demonstrating how a small compromise in an otherwise unadulterated beefcake masculine identity can constitute a genuine sacrifice. What Suzuki excels at in Death and the Flower are his descriptions of urban and natural landscapes. I was particularly impressed by the third story in the collection, “Key West,” in which a father leaves his young daughter in a rental car by the side of a highway in Florida to walk out to a small offshore island connected to the coast by a sandbar. On the island, the father encounters an abandoned settlement overgrown with jungle. Although his parenting skills leave much to be desired, the father’s accounts of the greenery and derelict buildings, the comparisons he makes to his home in Tokyo, and his detailed examination of the complicated feelings the island evokes in him are all magnificent. The simultaneously intense yet hazy quality of the fever dreams he experiences after being bitten by a sea snake is also expertly conveyed by the author. That being said, the father’s grief for his dead wife as expressed by his half-hearted desire to protect his daughter is largely undeveloped and feels out of place within the larger themes of the story, which mainly seem to involve the narrator’s fear of his own encroaching middle age. “Only a peaceful and safe world is worth living in” – far too many people seem to think so. Putting aside the tastelessness of such a statement, I think the author’s writing is indeed at its best when his characters have a worthy antagonist to battle. 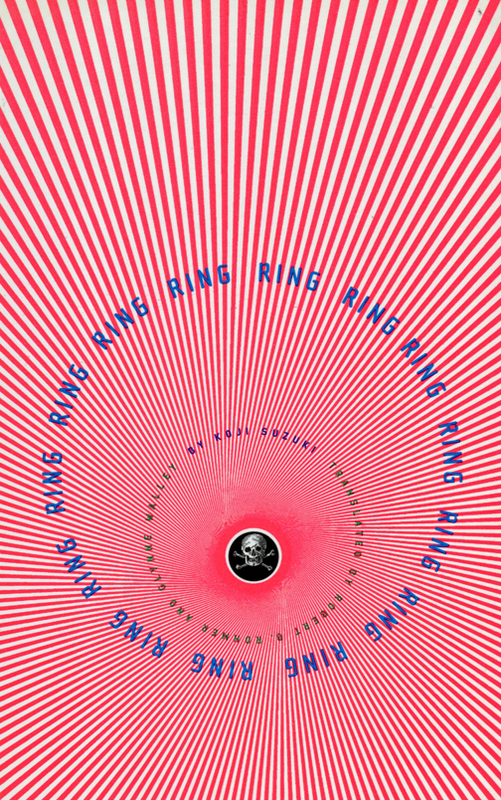 The major draw of Ring, for instance, is Sadako, the evil girl who spews her curses out into the world from inside a well. 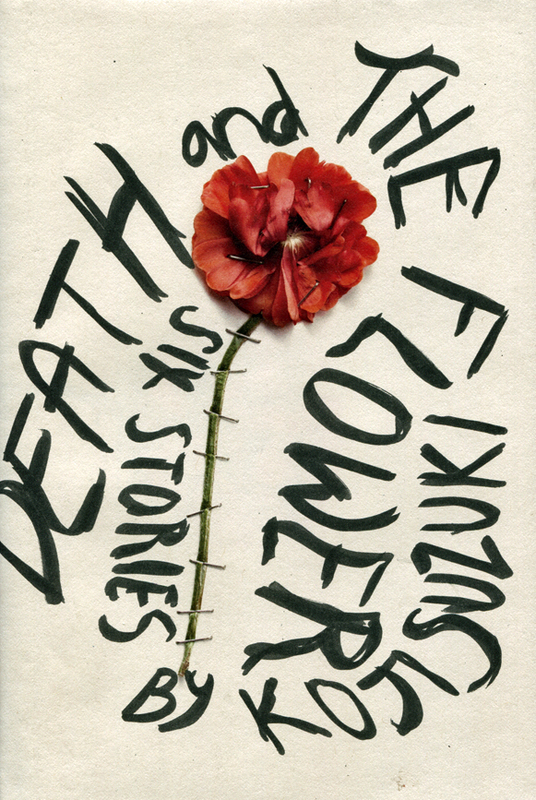 The longest story in Death and the Flower, “Beyond the Darkness,” is perhaps the strongest, as its father protagonist character is provided with a creepy stalker to serve as an acceptable outlet for his anger and tendency toward physical violence. As introspection-driven character pieces, however, the rest of the stories in the collection fall flat. If you’re a Suzuki completionist, Death and the Flower is of interest for its prototypes of the author’s major themes and character archetypes. If you’re looking for good horror fiction or just some good short stories, though, it’s probably best to ignore the pretty cover and take a pass on this collection.